Pole pockets make this system a breeze to setup and take down. 4' height, includes poles and pockets. 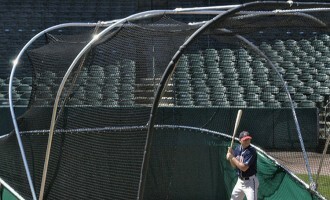 Select from individual portable fence sections or Home Run Kits (HR). 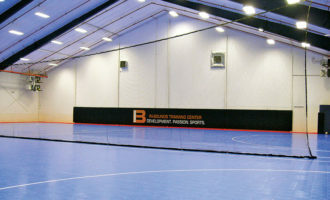 Add Optional Ground Sockets for even quicker removal & setup. 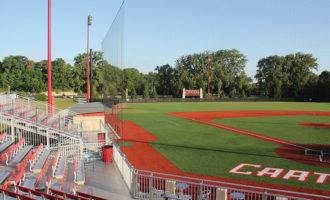 Home Run Kits include Ground Socket Auger. 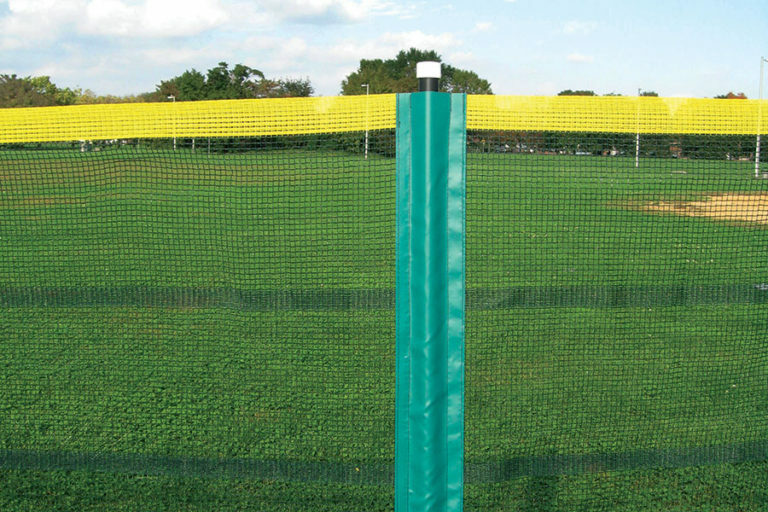 Soft poly mesh with vinyl pockets sewn in at 10′ intervals with a yellow home run marker on the top edge of 4′ high fencing. 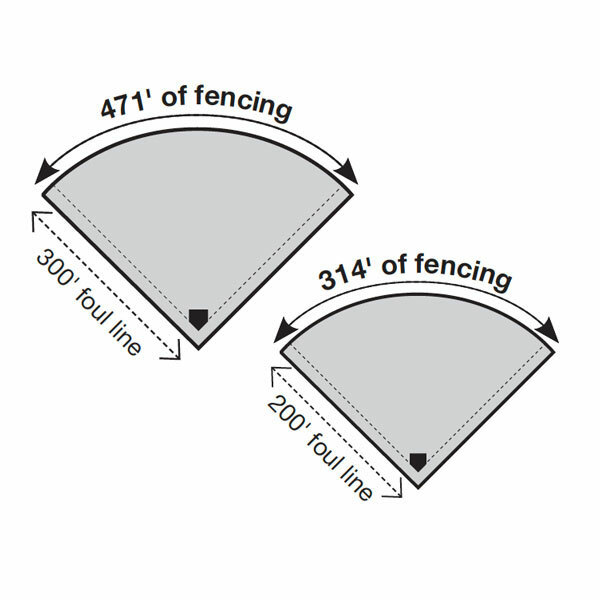 Available as individual fence sections or in Home Run Kits for 200′ or 300′ foul lines. 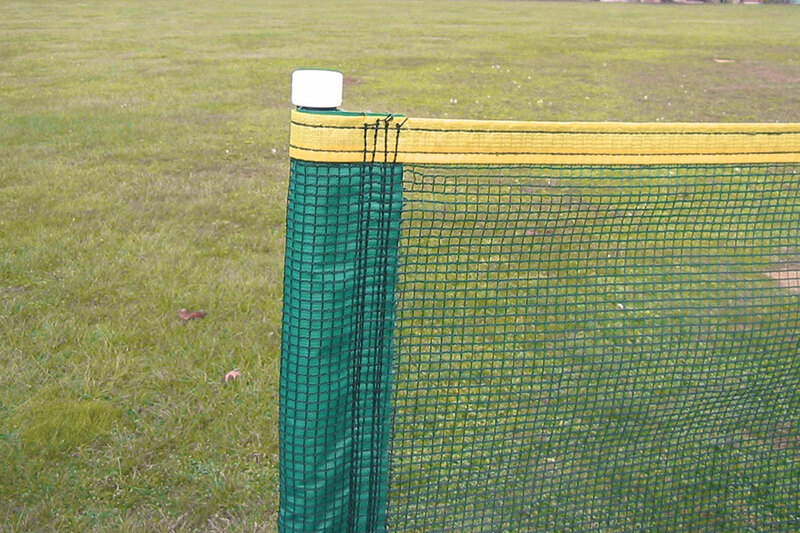 Portable Home Run Kits include fencing, poles, 18″ auger, and 330′ measuring tape. Available in green, red, or blue.